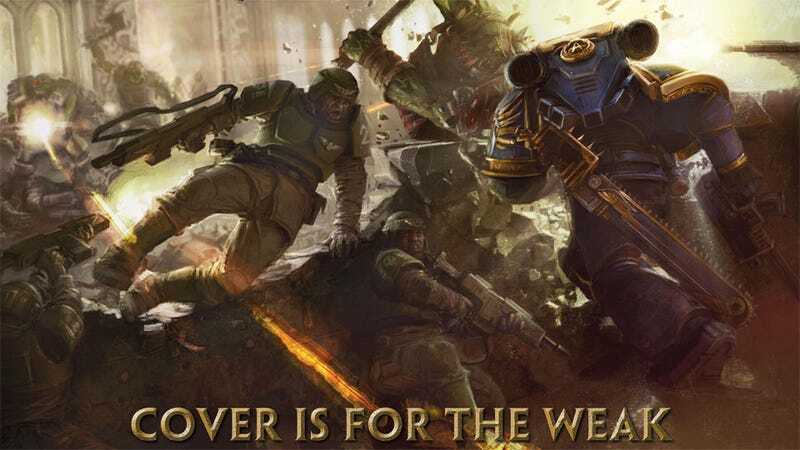 While its big, burly characters make it look like it wants to be Gears of War, Warhammer 40,000: Space Marine's core tenant is distinctly un-Gears-like: Cover is for the weak. This image arrived at my home in poster form late last week, following my gameplay impressions of the recently released demo for Relic Entertainment's Warhammer hack and slash shooter. The game drops next week on the Xbox 360, PlayStation 3, and PC, so you'd best memorize this mantra. Click here for the full-size version of the poster.